Twice per year: In the Spring and the Fall, we’ll ship you a selection of four different Waits-Mast Pinot Noir wines, usually new releases. Shipments will average around $150 each for the four-pack of wine. Fall shipments will go out in mid-October and Spring shipments will go out in late-May. Three times per year (Vintner's Choice): In addition to the Spring and Fall shipments, this option also includes a late Winter (March) "Vintner's Choice" shipment. This selection will average around $125 for a three-pack hand-selected by Brian and Jennifer. You'll have the opportunity to partake in library wines or a single-vineyard vertical. Both options include a "Member's Choice" option upon receipt of your Wine Club order. You'll be able to login and modify your shipment to add more quantity, other wines, change shipping info and more. For each shipment standard FedEx Ground shipping charges (or local/regional delivery services) and sales tax will be added to the amount. By joining the club, you agree to have Waits-Mast send these shipments to you and bill your credit card that you have on file with us. All club shipments are discounted 15%. Immediately upon joining the club, club members will enjoy a 15% discount for 1-11 bottles on any additional wine purchases, at any time, and a 20% discount for purchases of a case (12 bottles) or more. There is no initiation fee and you can cancel at any time after your first shipment. 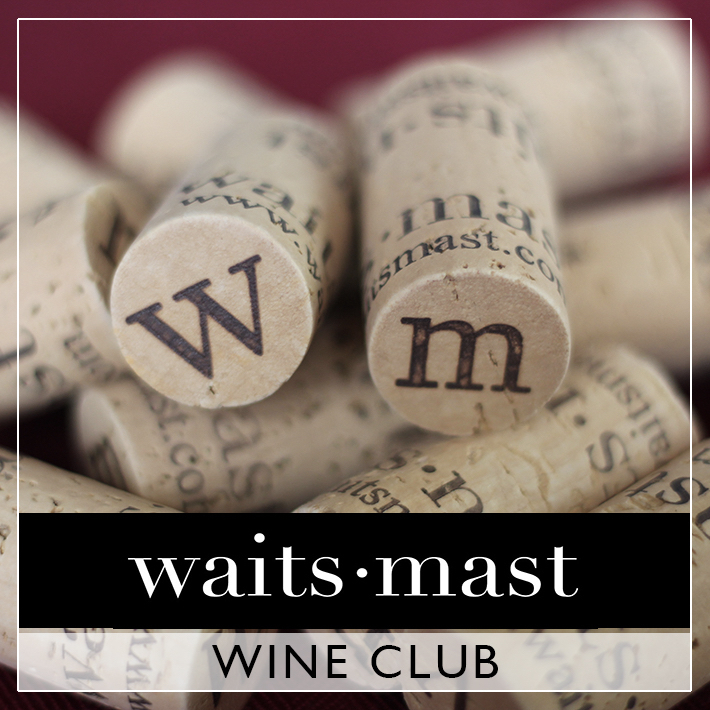 Waits-Mast Family Cellars currently ships direct-to-consumer in the states of California, Colorado, District of Columbia, Florida, Illinois, Indiana, New Hampshire, New Mexico, New York, Ohio, Oregon, Texas, Washington and Wisconsin. 6. Complete shipping and billing address information and click on "continue to secure payment page"
7. Enter credit card information and click on "save this card for future orders" so we can process your twice-annual club shipments. We will notify you when your orders are being sent out. 8. Click on "submit order" and you are done! 10. To enjoy your ongoing club member discount, just login to the webstore and discounts will automatically be displayed on the price of each wine.